Road trips are one of the best ways to vacation, especially when youre towing along a couple kids. Whether youre flying cross country and picking up an RV for a week, or just venturing out your backdoor in the minivan for a long weekend of local adventure, seeing what this country has to offer out the windows of a vehicle is a satisfying experience, for both young and old. 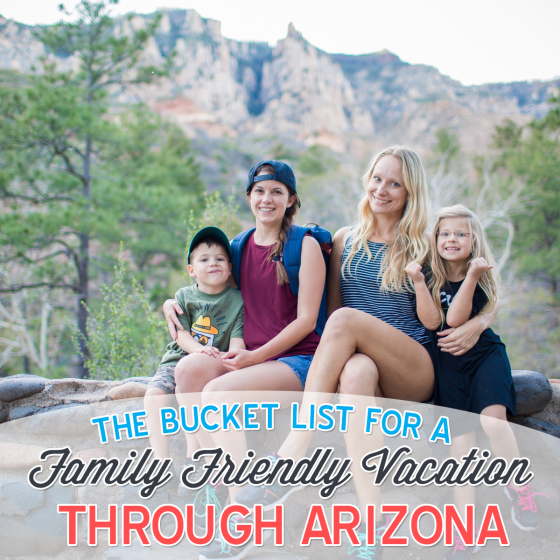 We recently road tripped through the state of Arizona, from top to bottom, and along the way found great bucket list stops, everything from nature and landmark viewing to museums and aquariums, all kid-friendly, yet still fascinating and fun for adults. So whether Arizona is hundreds of miles away or right in your backyard, load up the car and the kids and get road trippin. Leave the to-do list to us! 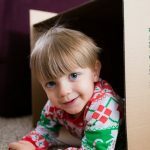 If Arizona is a plane ride away, and youre bringing along kids who still require car seats, dont stress! Its not as bad as you might think. 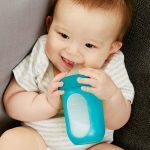 Using a rental car carseat is one option, but weve found that those are outdated, have held many a childs rear end which can be disturbing, and half the time are a nightmare to install and arent near as comfortable – for both kids and adults – as their well-loved, broken-in carseat used at home. 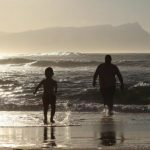 Face it, youre going to be spending a lot of time in the car while you drive through this amazing state, so do your little ones a comfortable favor and pack up their own carseat. 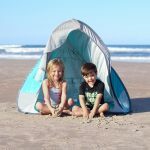 We at Daily Mom have our favorite carseats, and Diono is one of our go-to brands, so when we travel with our Diono seat, we make it extra easy on ourselves by tucking it inside the Diono Car Seat Bag, a durable, waterproof bag that easily can be used as a backpack or as a duffle with the side handle. 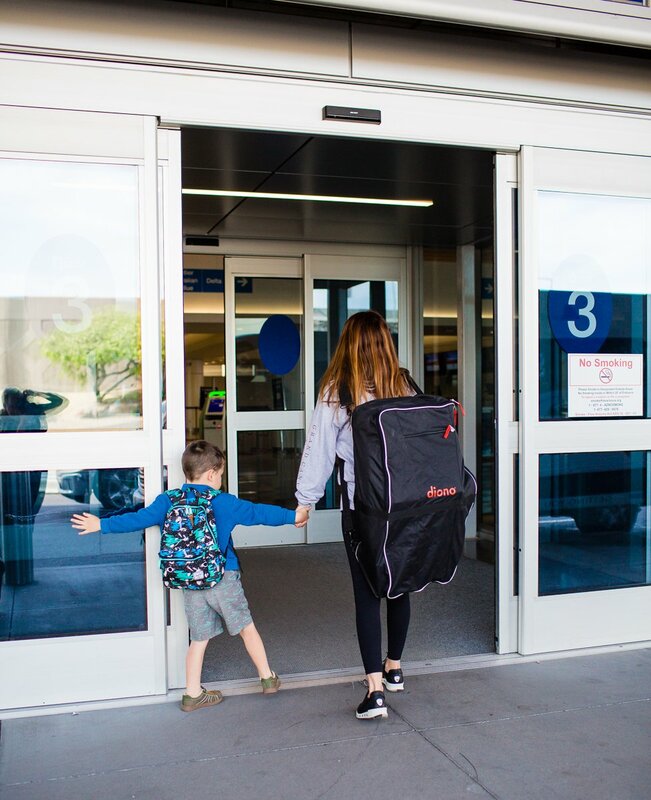 With a couple zippered pockets for odds and ends, an ID tag included, and tough enough to withstand being baggage checked, this carseat bag makes bringing along your carseat easier than packing your suitcases! 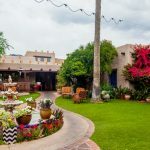 We’ve sectioned out our Arizona Bucket List by major cities, so if you’re traveling to one specific city on your trip, then click on that city to see that city’s activities. If you want to see what all of Arizona has to offer, then click on more than one city and see it all… we did! 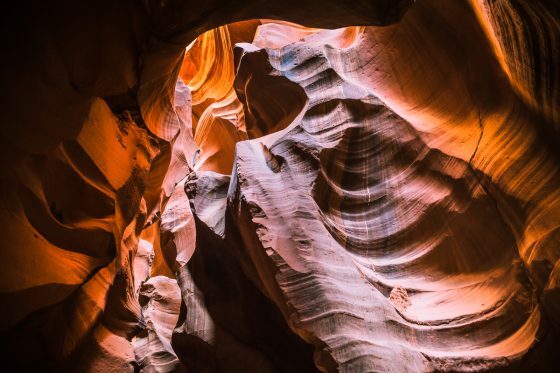 In 1974, a massive cave was discovered by explorers Gary Tenen and Randy Tufts, right inside the Whetstone Mountains, and after some research into how best to preserve the beauty of this magnificent cavern, Arizona State Parks was approached to protect it. 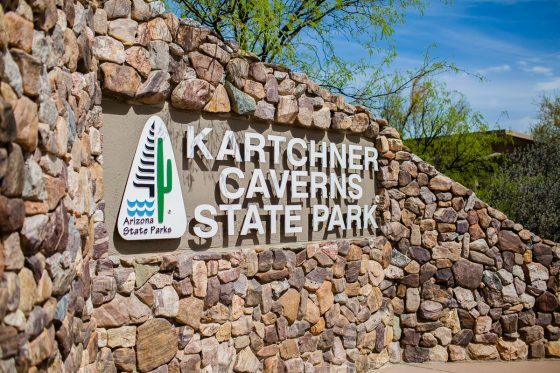 Today, you can visit this state park and actually step inside the caverns, seeing what the two explorers from years ago discovered for the first time. As you tour through the humid, warm cave tunnels, you’ll be educated by the guides on the history of the cave and the many different formations you see all around you. 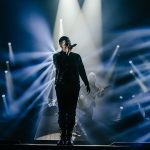 It’s a stunning experience for all ages! 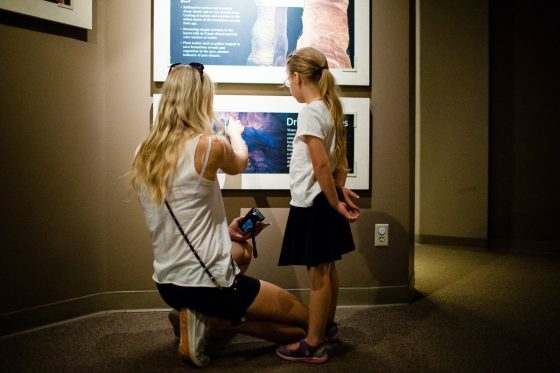 Before your tour starts – and of course afterwards – roam around the museum to learn about all things cave-related, see exhibits on what structures are present in the caverns you are about to or already have seen, and watch a short video in the theater about the history and magnificent discovery that happened in the hills right outside. For the plane lovers in the family, a stop at Pima Air & Space Museum is a must. 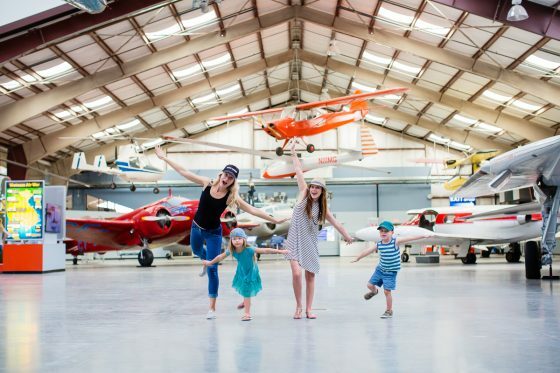 This 80-acre museum is one of the largest non-government funded aviation and space museums in the world, featuring over 300 historical aircrafts. 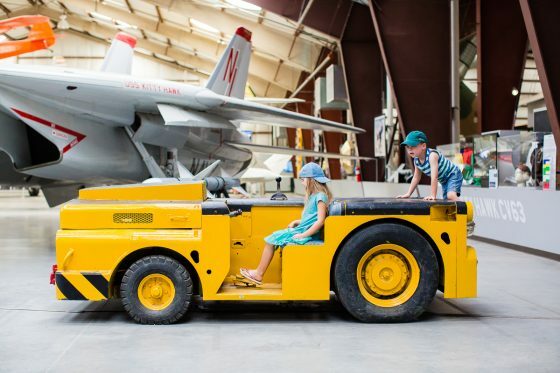 Since 1976, they have been allowing guests to take self-guided tours and Tram Tours through the indoor/outdoor museum, and a bus tour through the massive “Aircraft Boneyard”. 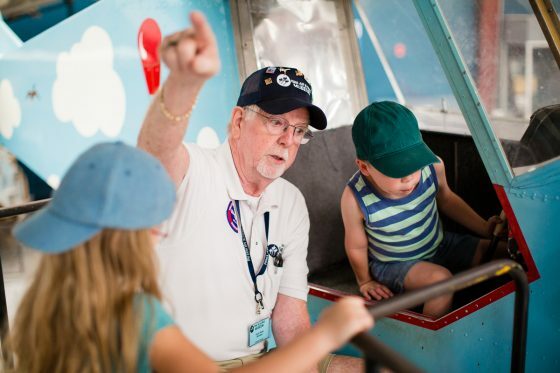 As they keep growing and expanding, they continue to educate those who pass through their doors on the history of aviation and the armed forces. 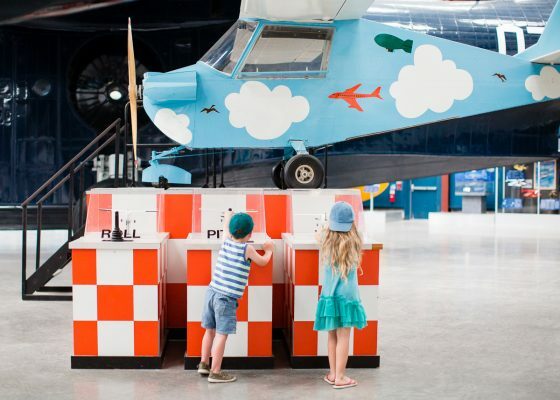 This is one museum where both kids and adults alike will be enthralled at every exhibit they pass. 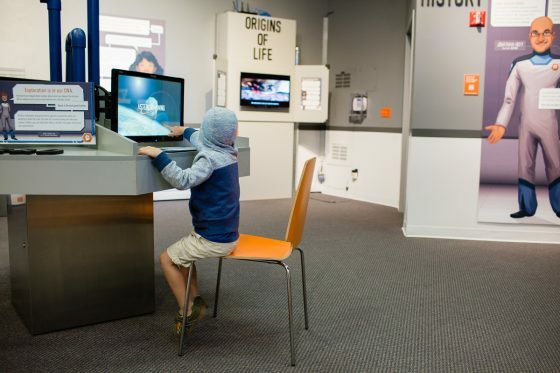 Inside the museum are not only interactive hands-on exhibits for children (and adults! ), but there is an outdoor playground for burning off some extra energy, and a cafe for an ice cream and snack break. This smaller cousin of the Grand Canyon is famous around the world for its amazing scenery. As you drive through the winding roadways between Flagstaff and Sedona, be sure to stop every now and then at one of the viewing points to take a moment and gaze at the beauty around you. 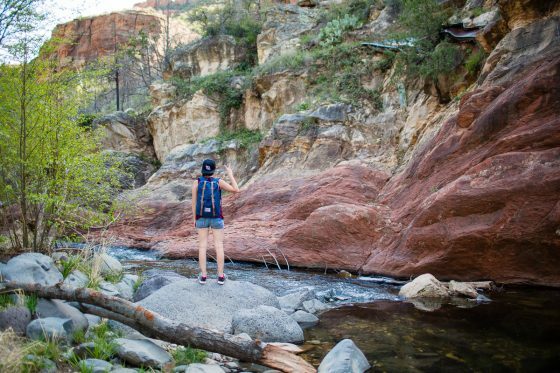 You’ll see the colorful rocks and unique formations that Oak Creek Canyon is known for, and you’ll definitely want to pull over and start exploring. 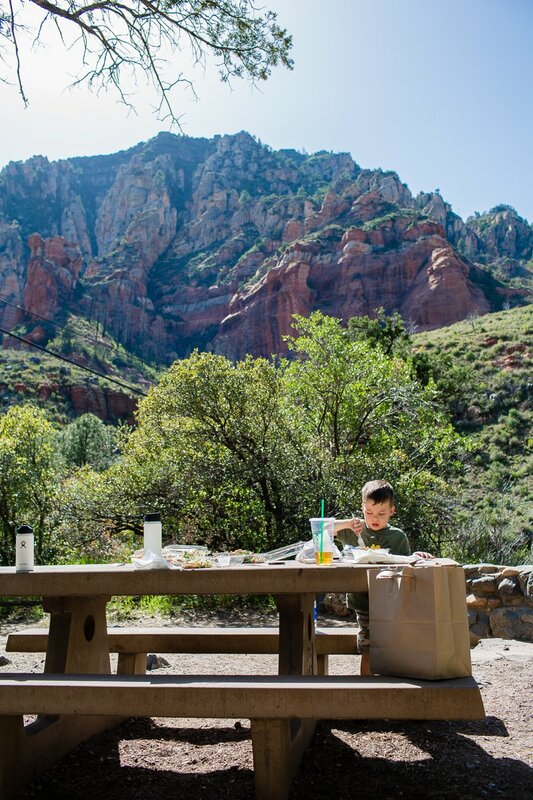 Before you find a place to start hiking and relishing in the scenes, we suggest you grab a picnic lunch to take with you, as Oak Creek Canyon is teeming with picnic tables set against some of the most amazing backdrops you’ve only imagined eating a sandwich beside! Grab a salad and a wrap from Indian Gardens Cafe & Market and set up your lunch with a view. Then start hiking. Pick a trail and go. You never know what you might find. 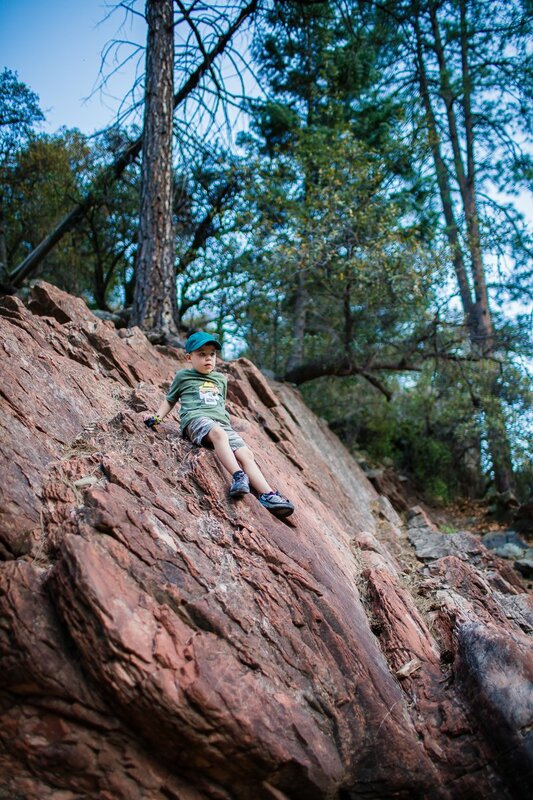 When you go off the beaten track in Oak Creek Canyon, you can stumble upon swimming holes, natural climbing walls, waterfalls, and overlooks, all just begging to be fully taken in. 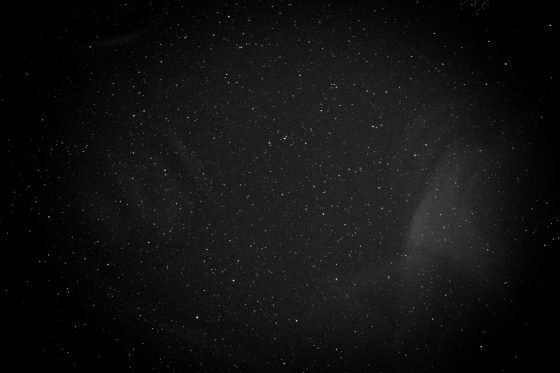 Love star gazing? We mean, really… who doesn’t? Flagstaff, AZ is lucky to hold the Lowell Observatory in their town, an independent, non-profit research institution that was founded in 1894, with the mission to study astronomy, continue research, and educate the public on the phenomena of our solar system. 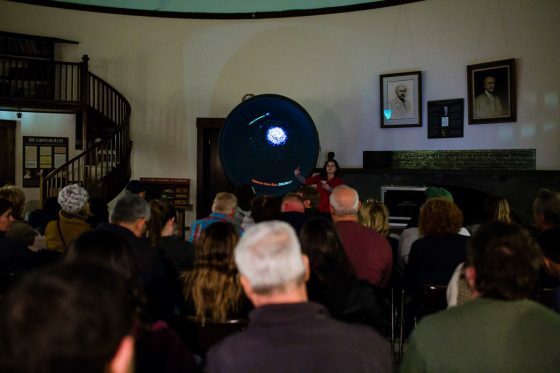 Being one of the oldest observatories in the country, they have made some major discoveries over the years, including the planet Pluto, co-discovery of the rings of Uranus, and the three largest known stars. 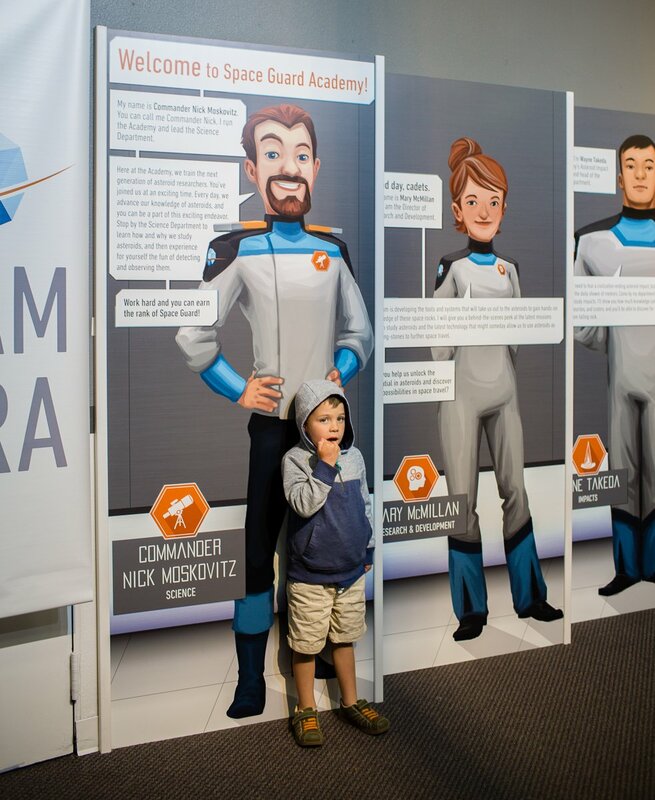 There is so much to explore here, including a small interactive exhibit hall with a theatre and loads of educational information. Once you start getting your brain tuned into the night sky, go outside and take a tour, look through larger than life telescopes, listen to presentations, view constellations, and more. Whether you visit during the day or at night, you’ll be enriched with some of the most interesting information about our galaxies and their history, all taking place right on the grounds of a Registered National Historic Landmark. 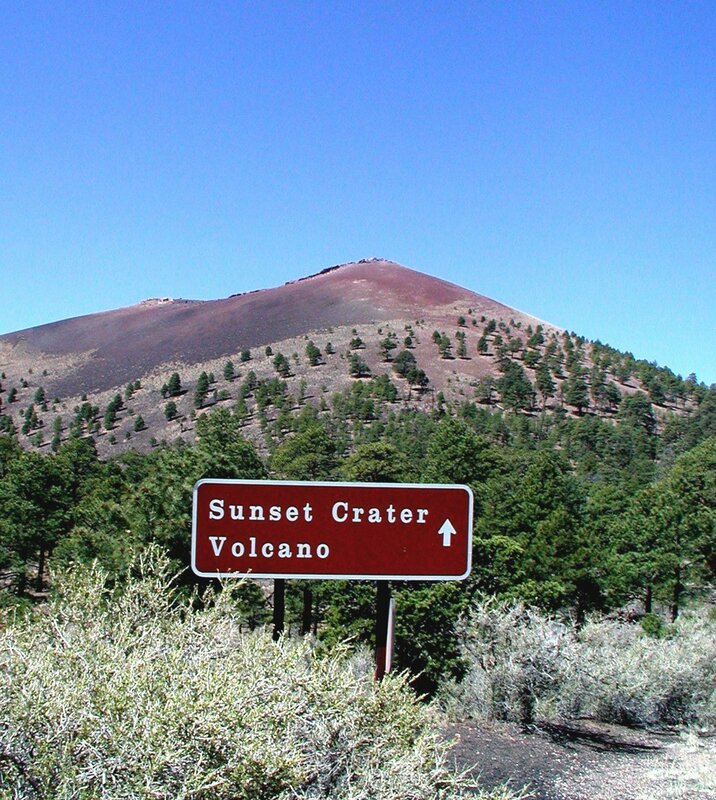 Surrounded by the Coconino National Forest, sitting on 3,040 acres, is Sunset Crater Volcano, a National Monument established in 1930 to protect its geologic formations. 900 years ago, this volcano erupted in a series of events, making it the youngest volcano on the Colorado Plateau. 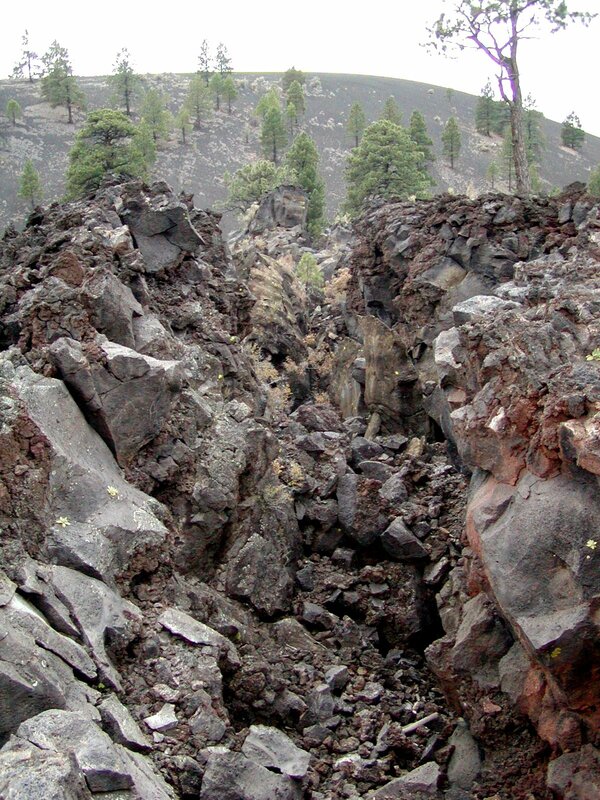 You can see where the lava had flowed those many years ago, evident by the black terrain that surrounds the crater. 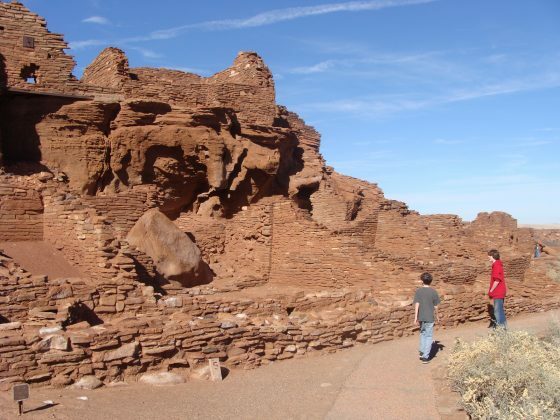 While traveling through Flagstaff, Arizona, taking a pit stop here is well worth it, making it an educational and interesting experience for the whole family. 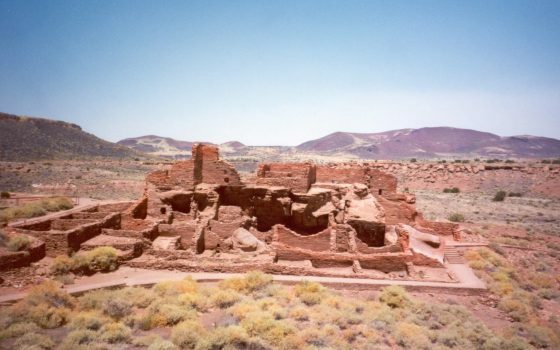 This desert landscape, the Wupatki National Monument, is home to 800 year old ancient pueblos, built by the native people who once inhabited this barren land. These ghost towns once were thriving communities where people lived everyday lives, which included farming, raising families, trading, hunting, and gathering, all in an area that seemed empty and impossible to live in. Exploring this area is fascinating as you soak in the dwellings of our long ago ancestors, and savor the prairie views that surround you for miles everywhere you turn. Northern Arizona isn’t all cacti, tumbleweeds, and cut-off shorts. 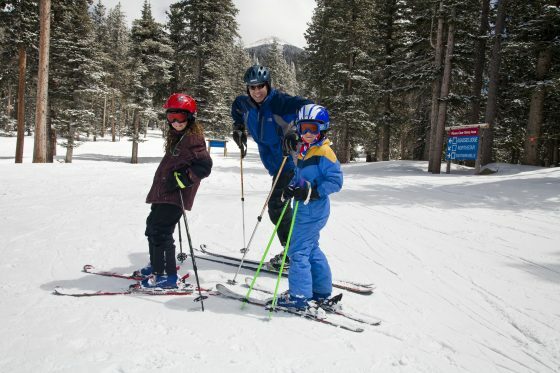 At 9,500 feet above sea level lies the majestic Arizona Snowbowl, nestled in between the San Francisco Peaks, an outdoor playground for skiing and snowboarding enthusiasts in the winter, and natural family fun in the summer, making this place a year-round bucket list adventure. Since 1938, the Snowbowl has been the best winter sports destination in the state, attracting those from far and wide to partake in all the activities that the park has to offer. 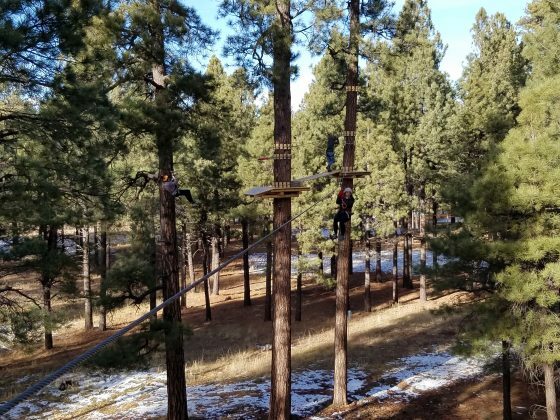 For the adventurers in the family, those who aren’t scared of soaring above the trees, taking chances, and exploring new heights, you must add Flagstaff Extreme Adventure Course, located in the Historic Fort Tuthill County Park, to your bucket list while traveling through Flagstaff, Arizona. 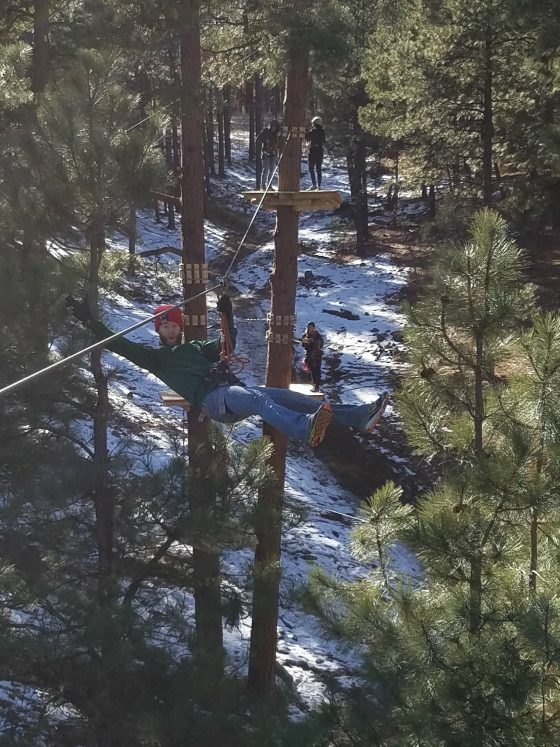 Being the only adventure and zip line course in the state, you can test your limits in an Adult Adventure Course, Kid’s Adventure Course (for ages 7-11), or Adventure Zip Lines. Cruise through the obstacle courses in this safely monitored environment, form stronger bonds with your family while encouraging trust, respect, and courage in each other, and simply have a great time playing in the trees! 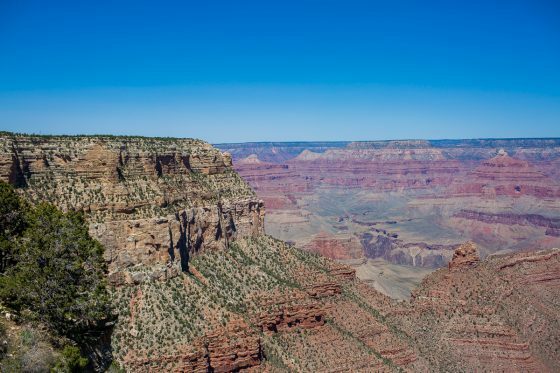 You can’t visit Arizona without seeing the Grand Canyon. This should be at the very top of your bucket list. 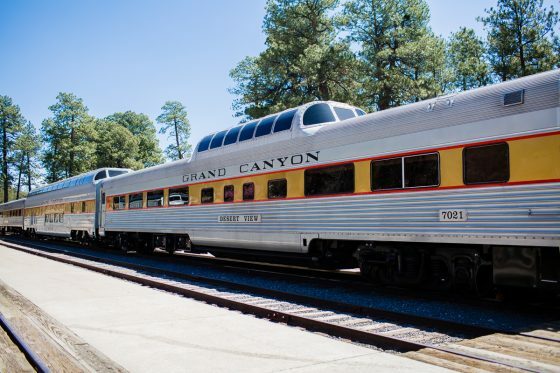 And the best way to accomplish this is by taking a ride on the Grand Canyon Railway. 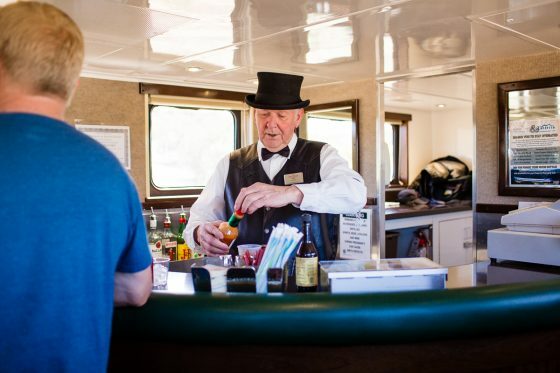 This two hour train ride is all kinds of entertaining, and since 1901, guests have been hopping aboard and enjoying the festivities that grace these cars. 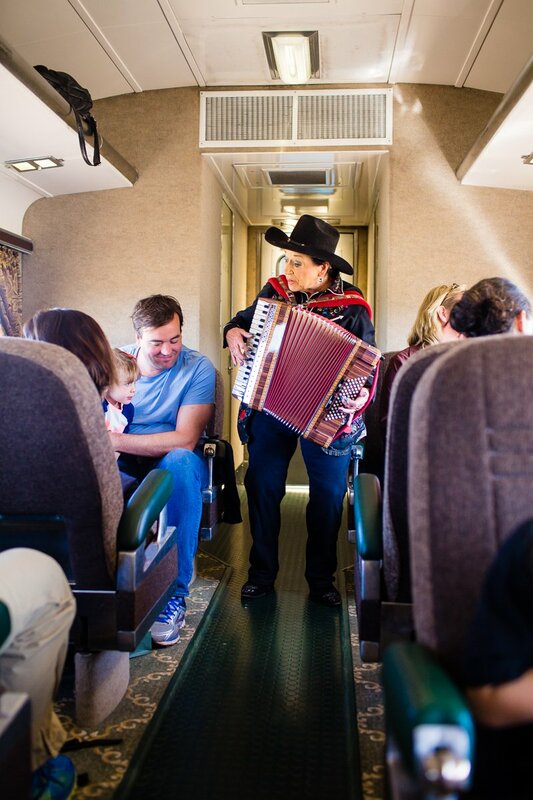 Choose from six unique classes of service, each with a different experience, yet no bad seat on the train, and enjoy the passing scenery, wildlife, and unexpected surprises out your window. Play games, eat, drink, and be merry, listen to live western musicians cajole you with their voices and single instruments, partake in the cops and robbers game, or just rest, knowing that soon you will be privileged to experience the greatest landmark in our country. Once you arrive, whether by train, bus, or car, step out and right away go to the lookout. 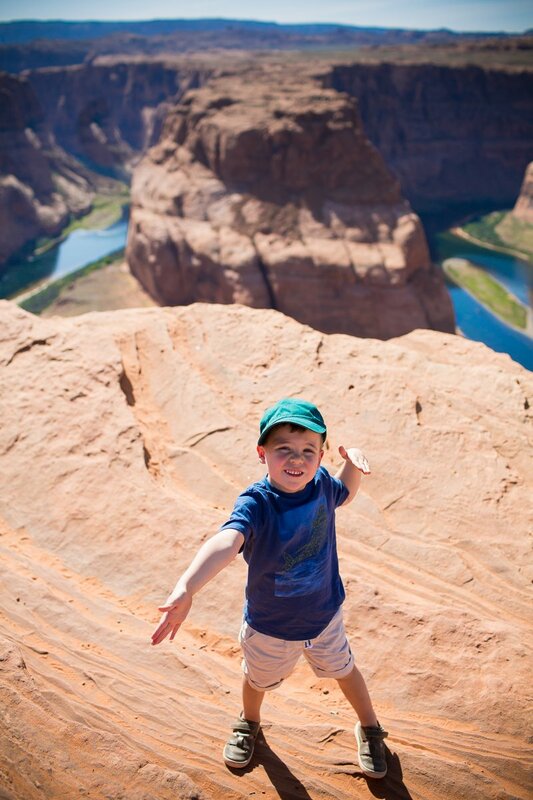 Seriously… bypass the gift shops and start walking on the paved trail that runs adjacent to the canyon. Look out with awe at seeing what the power of water can do. At 277 miles long, up to 18 miles wide, and 1 mile deep, it’s like looking at a painting; it’s near impossible to fathom its greatness. 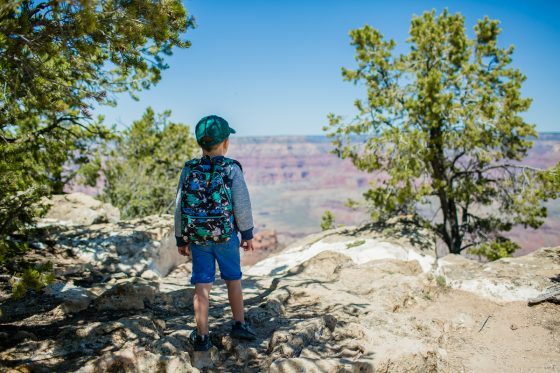 As you walk the trail, the Grand Canyon looms to your left and a natural playground of rocks, low trees, and desert vegetation flanks your right, giving kids who can’t yet appreciate the beauty of the canyon a place to safely explore. Read the plaques that line the walk, educating you on the history and geology of the canyon, and of course, take photograph upon photograph. 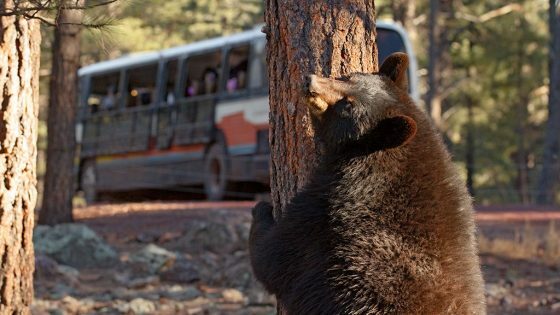 In this 160 acre park, you can drive through more than three miles of the incredible Ponderosa Pine Forest in a self-guided, go at your own pace tour, as you view northern Arizona wildlife in its natural state, safe in the confines of your car. 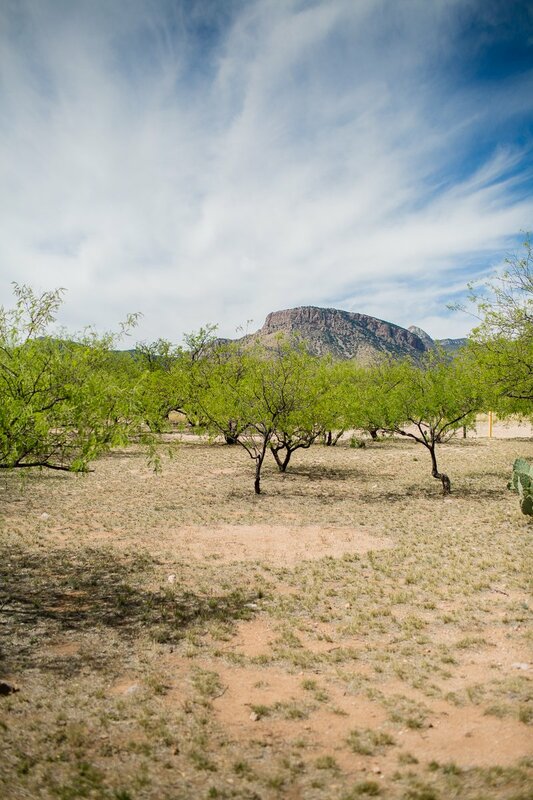 After you drive through, stretch your legs and explore more animals at Fort Bearizona, while making sure to catch an animal feeding and show or two. 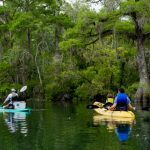 In addition to seeing bears of course, you’ll be entertained by the other creatures you encounter, as well as birds of prey, which are always a crowd pleaser. 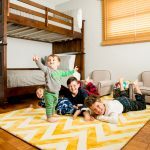 This unique zoo-style experience is perfect for the whole family. 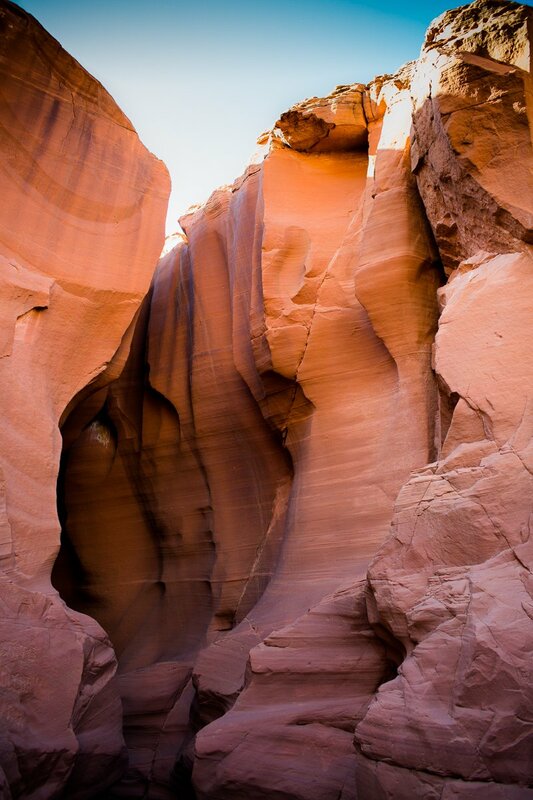 This is one of the most breathtaking locations in all of Arizona, and going on a tour is a bucket list must while visiting here! The only way to access Antelope Canyon is by tour, so stop by Chief Tsosie’s Antelope Slot Canyon Tours, enjoy the pre-tour performance by local Native Americans, complete with drums, singing, and dancing, hop on one of the teal open air buses, and take the bumpy, dusty ride through the desert to the opening of the canyon, and be ready to experience natural beauty in its rawest form. 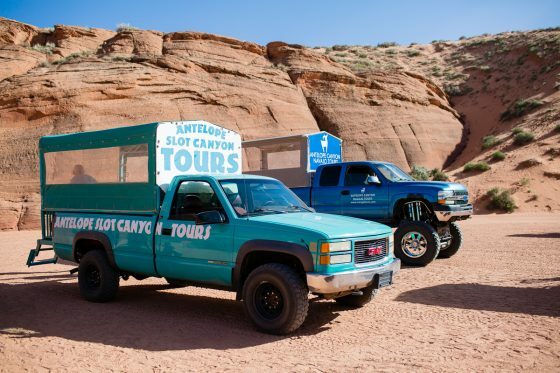 With three different tour selections, you can choose one that fits exactly what experience you want to get out of your visit through the canyon, although there is definitely not a bad one! 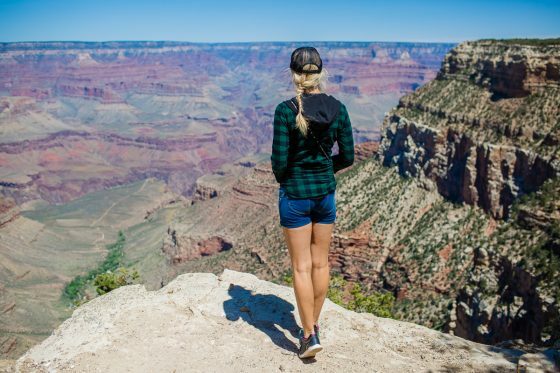 With the knowledgable and kind guides leading you through, pointing out the best photography angles and areas, and educating you on the history of the canyon, this is truly a once in a lifetime opportunity. 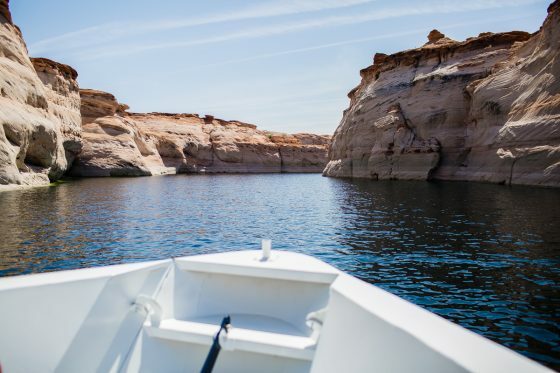 After you tour Antelope Canyon by foot, take to the seas and see it in a different way on an Antelope Canyon Boat Tour. 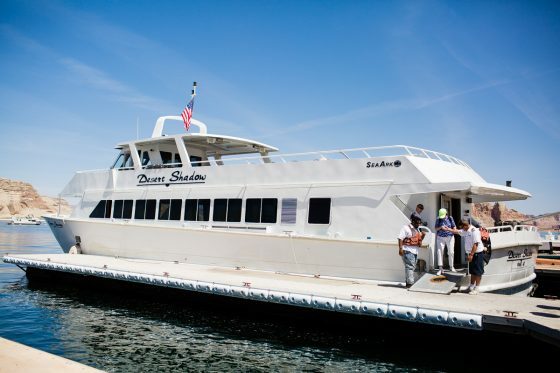 These tours depart from the Wahweap Marina at Lake Powell Resort, and as you cruise through the stunning waters of Lake Powell and the towering sandstone cliffs, slip on some headphones and listen to the audio tour that takes you through the history and gives you all the facts about this magnificent area. 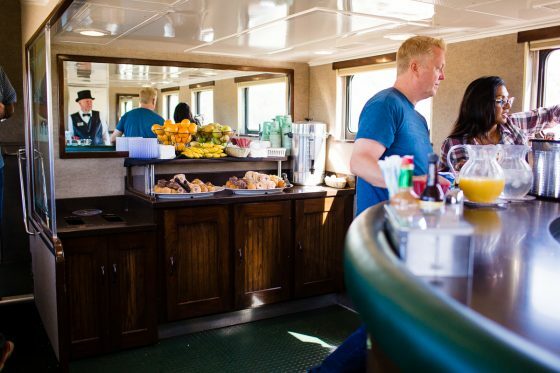 Complimentary beverages are on board, and you can view the sights from the top, open-air area of the boat or through the windows in the main cabin, as well as stroll throughout the boat, seeing the views from every angle. 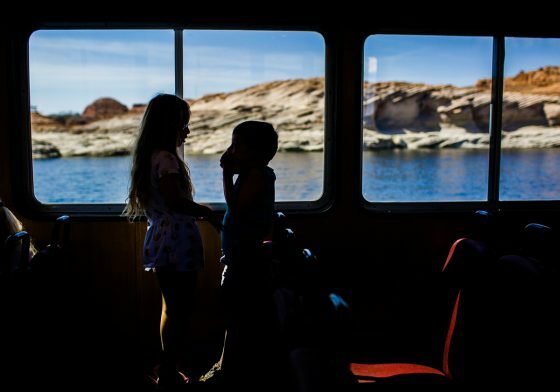 You’ll pass by the Glen Canyon Dam, see about four miles of Antelope Canyon before it narrows, and savor the rainbow-like Navajo Sandstone formations. 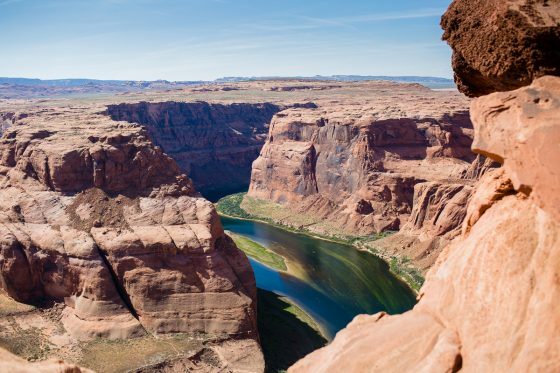 Horseshoe Bend is another Arizona must-see! Accessible from a short, slightly challenging hike (although we’ve known two 5 year olds to hike it like a champ!) – right off the highway – you can view this unreal, natural masterpiece from the top. 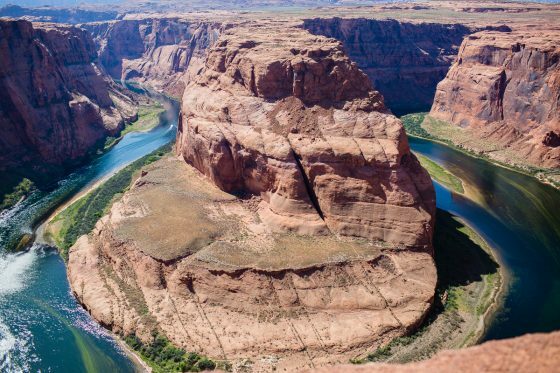 Looking down from the 1,000 foot drop, you will see the famous horseshoe, cut out from the powerful Colorado River. 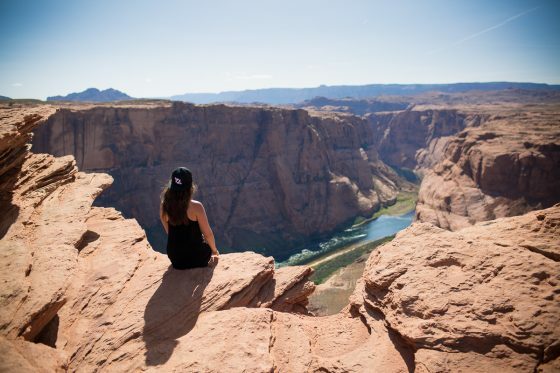 Take a few moments to bask in its glory, gulp down your fears as you creep towards the edge to get that money shot, and spend some time hiking up the massive rocks and cliffs that line the viewpoint area. This is no barred off area though; you are literally standing at the top of the world with nothing holding you back. 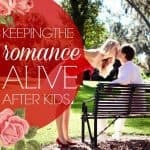 Please bring your kids, as this is something they should most definitely experience in their little minds, yet take caution and hold their hands with a death grip. 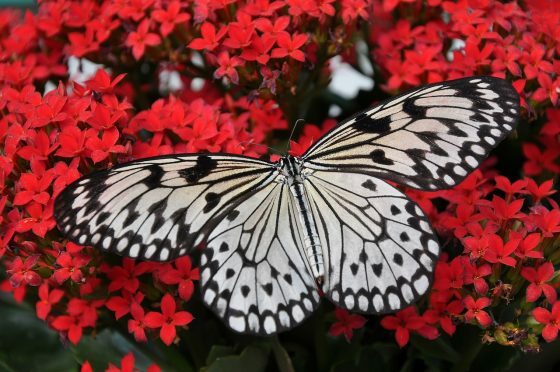 Everyone loves butterflies; there’s something so gentle and peaceful about them. 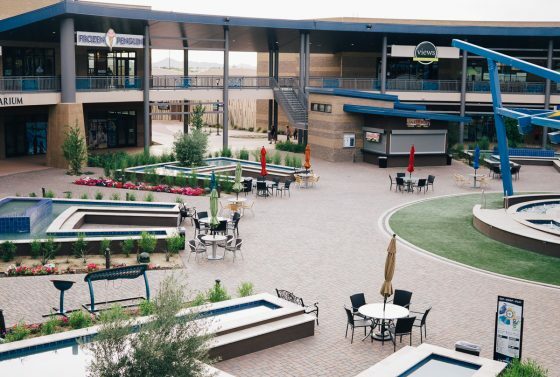 While traveling through Arizona, take some time to spend at the largest indoor butterfly pavilion in America, viewing thousands of butterflies from around the world fluttering in the state-of-the-art glass atrium. Watch the 3D movie, stroll through the interactive exhibits, see the new rainforest reptiles, bask in the buzziness of honey bees galore, and plan to spend some amazing family time in this unique award-winning rainforest wonderland. 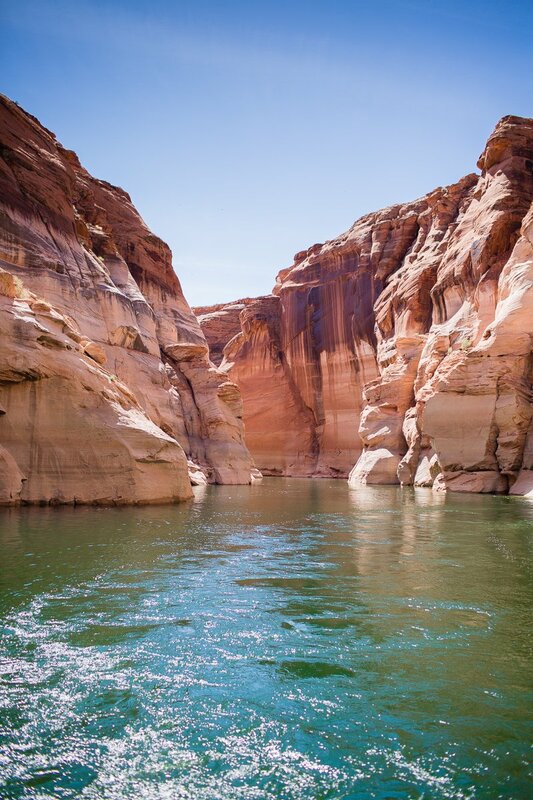 You may be visiting the desert, but that doesn’t mean you can’t have some fun water time. 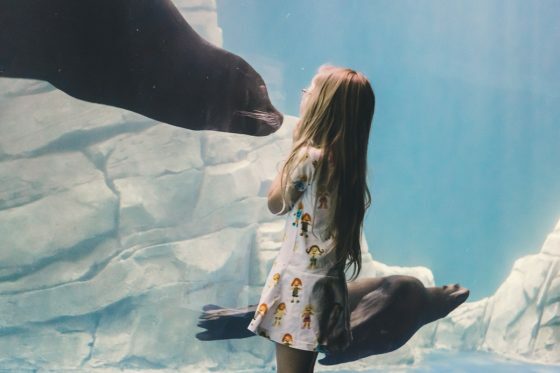 Spend an afternoon at the OdySea Aquarium, exploring the exhibits, from the Aqua Lobby and Penguin Point to Reef Jewels and The Otter Banks. 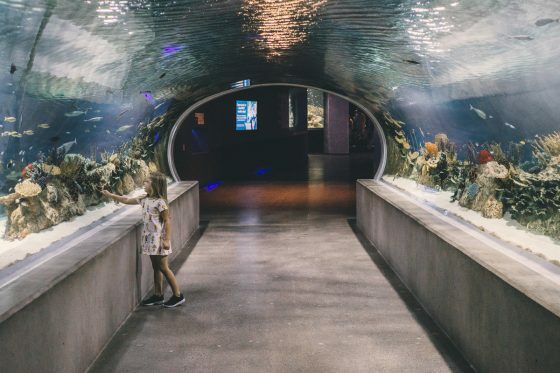 With new exhibits, behind the scenes tours, interactive programs, and SeaTREK Helmet Diving, this is one aquarium that will give you a unique experience, thrilling and educational for the whole family. You have your bucket list made, now you need to figure out where to stay during your trip. We’ve got you covered! 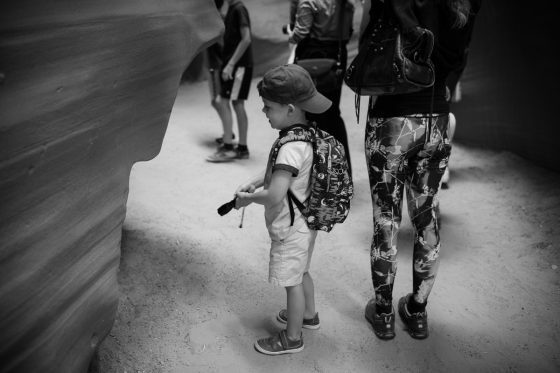 Check out Kid Friendly Places to Stay & Dine while Road-Tripping Through Arizona.